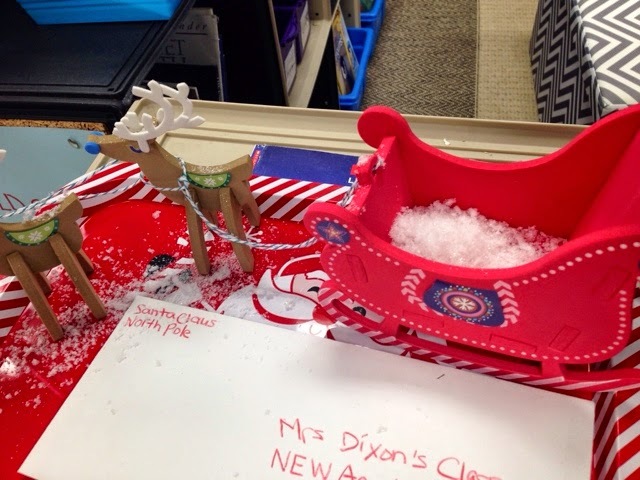 Overnight Twinkle must have travelled up to the icy North Pole because when we came in this morning Twinkle had snow in her sleigh and on the reindeers. 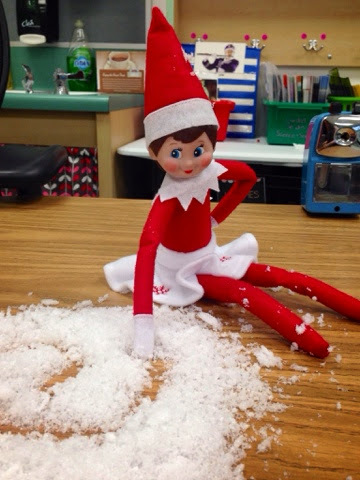 She even wrote her name in a pile of snow! 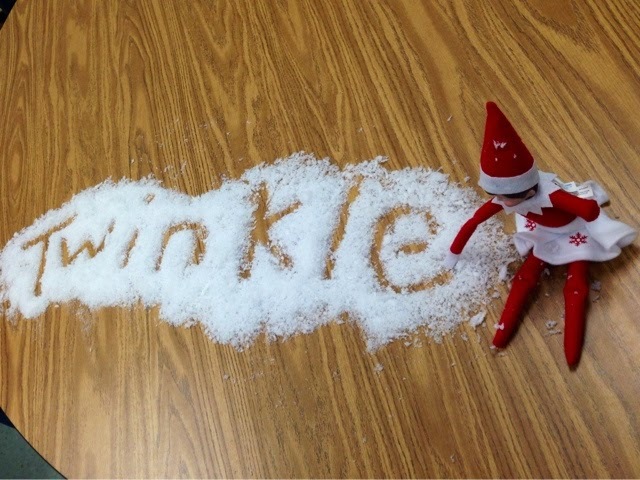 That Twinkle sure is mischievous! 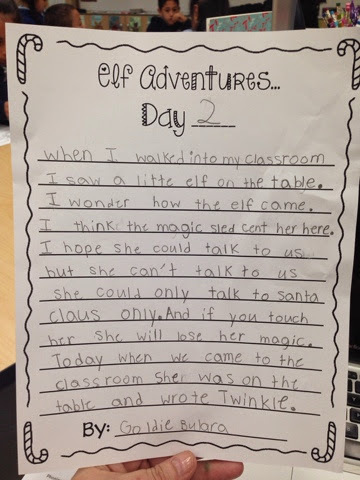 I wonder what she reported to Santa last night? 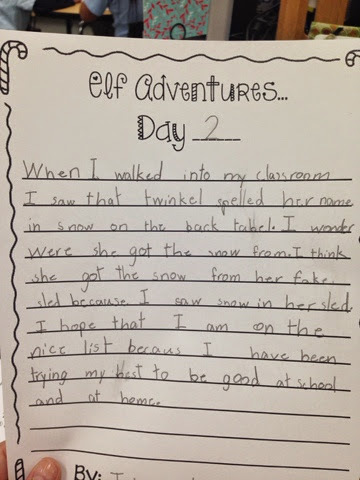 I do know that we had excellent homework last night - only one kiddo chose not to finish her homework! I hope everyone does their homework tonight! 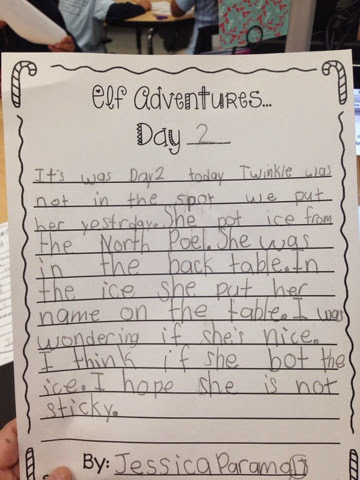 Twinkle brought us some journal pages so we decided to write about her adventures!